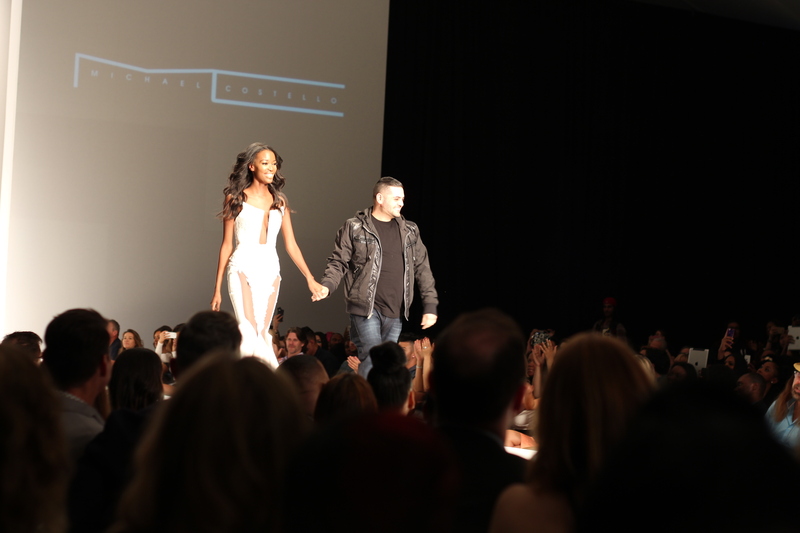 Michael Costello | Just Jess Fashion! 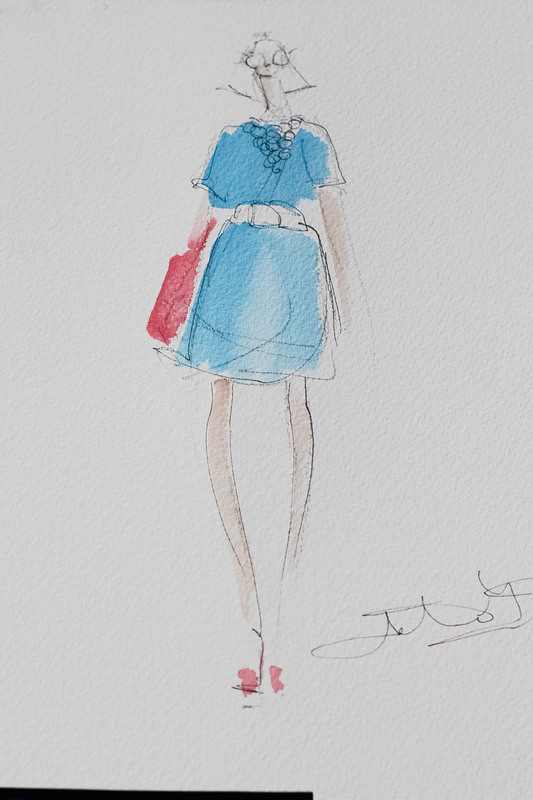 Simply Stylist outfit illustrated by the lovely and talented Jeanette Getrost. Outfit details: Dress- Wells Grace Pink Mania Pumps by Brian Atwood Bag by Ted Baker. The prospect of going to a networking event, by yourself, especially one led by people whose careers I’ve followed and been inspired by for many years, can well, be quite intimidating. And that’s initially how I felt when I walked up to the theater at the Grove. I checked in and was amazed at how incredibly organized the event was. 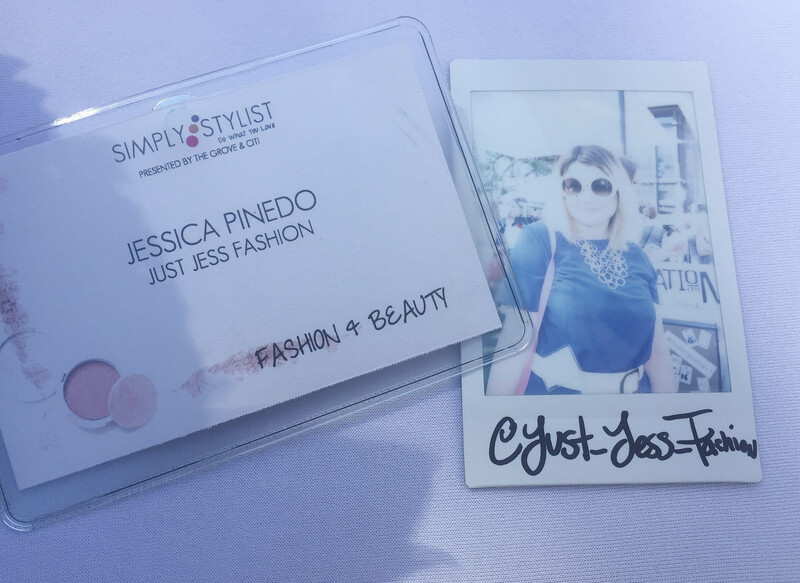 Each attendee that was part of the “Fashion and Beauty” package was greeted by very enthusiastic volunteers for the event who gave us our badges (I was so excited to see my Blog name as part of my name badge) along with Simply Stylist binders. Inside the binders was the itinerary for the afternoon. 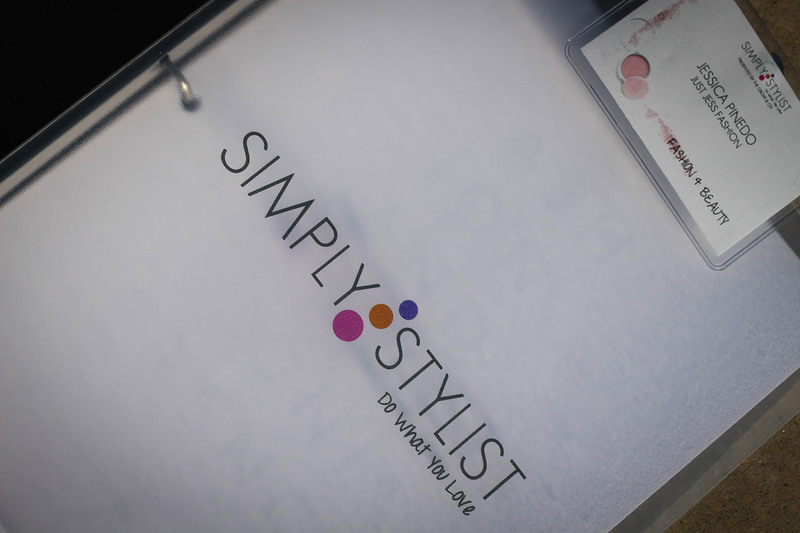 (Even though I had already downloaded the Simply Stylist App I was still totes excited about the binder.) I contained my excitement and walked through towards the giant step and repeat where I had anticipated taking the very cliche Instagram photo that is almost mandatory when attending events like this. Alas, instead I opted to start a casual conversation with another event attendee, Hailey. Much like myself, Hailey was also a very ambitious person. 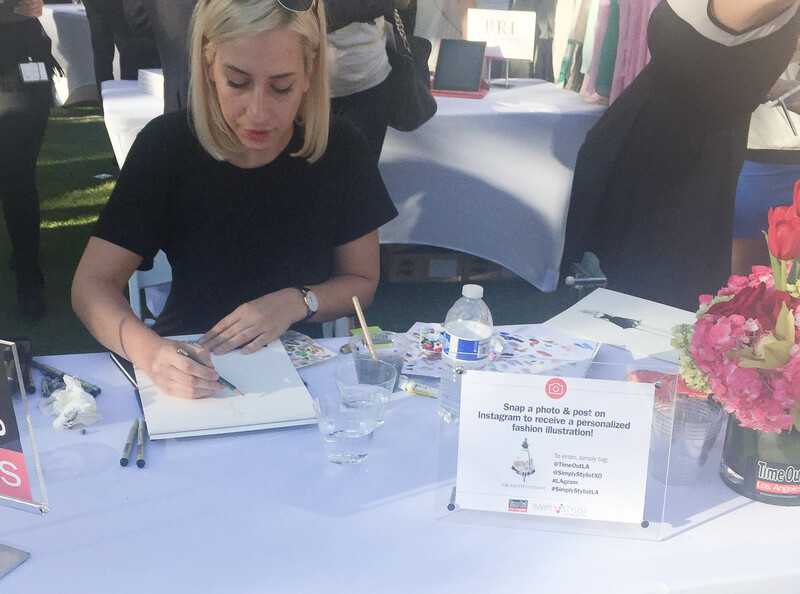 She came from a background that included interning with Rachel Zoe and explained while she loved her current job knew she was worth something more. OMG?! Me too! Or rather I should say our circumstances were very similar. While I still very much enjoy going to work every day, I get a sense of fulfillment when I do the blogging thing. Which side note, it was also very refreshing to be surrounded by a group of people who understand how much of a task it is to maintain a decent blog. Alas, I quite enjoyed the side conversations i had with this girl. Someone who knows what it means to know you’re destined for greatness and failure isn’t an option. I was quite delighted. The first part of conference was kicked off with E’s Catt Sadler interviewing the beautiful and astonishingly witty, Alessandra Ambrosio. To be truthful when her interview first started, I initially thought to myself, now what in the world would I have in common with a super model? Sometimes, and I’m ashamed to admit this I forget that even people who have wildly successful careers started out a dreamer. A kid who wasn’t afraid of wishing upon a star and wasn’t afraid to work to achieve their dreams. “If you want it, you got to fight for it”, was one of my favorite quotes of the day spoken by a true angel. Even she’s fought her battles and made her sacrifices. Sometimes you can only make it to birthdays and a few holidays when it comes to those in your social circle. But at the end of the day if you’re doing what you love then that’s what’s important. Someone commented during a panel discussion, you only get one life, so you better make it count. While yes it was exciting to hear from various perspectives of success in the industry, I was even more thrilled to hear about each person’s journey. And that seems to be the key to each of these stories. It’s each journey and each individuals commitment to their own success, and method of story telling I suppose as well that made each of them stand out. And standing out is key as well. Jen Chae reaffirmed this sentiment by advising the audience “it’s about being you, be the one who stands out.” And if you’re reading this you’re probably thinking to yourself, well easier said than done. That’s where you dear fellow dreamer take it upon your self to fight for your dream. Because think about it. And the logic is quite practical. If you don’t fight for your dream who will? If you don’t enjoy your own brand or business, why would anyone else? And that’s almost part of the key to success as well. “Don’t get so caught up in the numbers game” said Cara Santana. And that’s true! You’re always going to have someone else’s numbers to compare to. But at the end of the day, just like anything else in life don’t concern yourself with what you don’t have but rather what you do. Give your audience a reason to continue following you. I was at a leadership meeting about 2 years ago, and the moderator said something that I have always found inspiring and true to this same exact concept. If you light something on fire, whether that be a business or your blog or your own sense of fashion, people are going to come to watch you burn. Sounds kind of gory I realize that (please forgive me, I’m watching the “Walking Dead” season finale as I type this, sacrilegious but pursuing a dream is a sacrifice and I’m just not paying attention to commercials.) Either way the sentiment is the same, be true to yourself. Be the one who stands out. Believe in yourself, and your brand and be genuine and kind a long the way. Don’t be afraid of the word no, because at the end of the day you’re probably going to hear a million no’s but it’s going to make that one yes that much more special. And that’s one of the other things that stayed with me while I was driving home. At the end of the day, this journey is your own. Nobody can take it from you. And as Michael Costello pointed out “don’t set one goal, set many.” And once you reach your end goal figure out a way to do it better. Needless to say by the end of the panel sessions I was feeling tremendously inspired. Like I could conquer the world. And that feeling of empowerment and success, is something that I wouldn’t trade for anything in the world. I learned a ton, was inspired lots and made connections that I hope will last a life time. LA is a big town and with all the lights one rarely see’s the stars in the sky. But if you look close enough you’ll find exactly what I did and I’ve truthfully known all along. The stars in the sky don’t shine as bright because there are simply beautiful souls on the ground whose passion and dreams shine far brighter. It’s a cheesy sentiment I realize but I have always had an affinity for cheesiness. I like it and it works for me. I cannot wait until the next panel! And who knows maybe next time I might even travel to Chicago or New York for a conference. Time to start considering meeting global dreamers. In addition to a series of inspiring panels, there was a “Brand Experience.” And an experience it was! 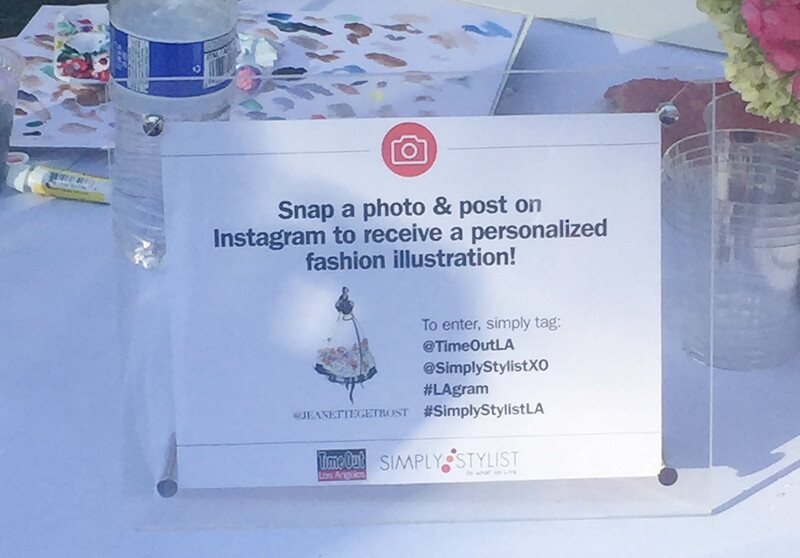 Event attendees were introduced to a variety of brands in the courtyard at the Grove. I loved that each of the brands encouraged the use of social media as means of participating in their various services offered. Although I felt really bad for my new friend who was looking forward to a massage and was stalled because she couldn’t get a signal to download the vendor’s app. This photo was taken at the Nation LTD booth. The very enthusiastic host of that booth encouraged each passer by to stop and take a polaroid. The polaroid was then immediately pinned to a bulletin board and we were told to put our Instagram handle on our picture. This was mine! Jeanette Getrost painting very diligently as some of us waited almost 2 hours for our turn. Social Media, a win win for all who participate. 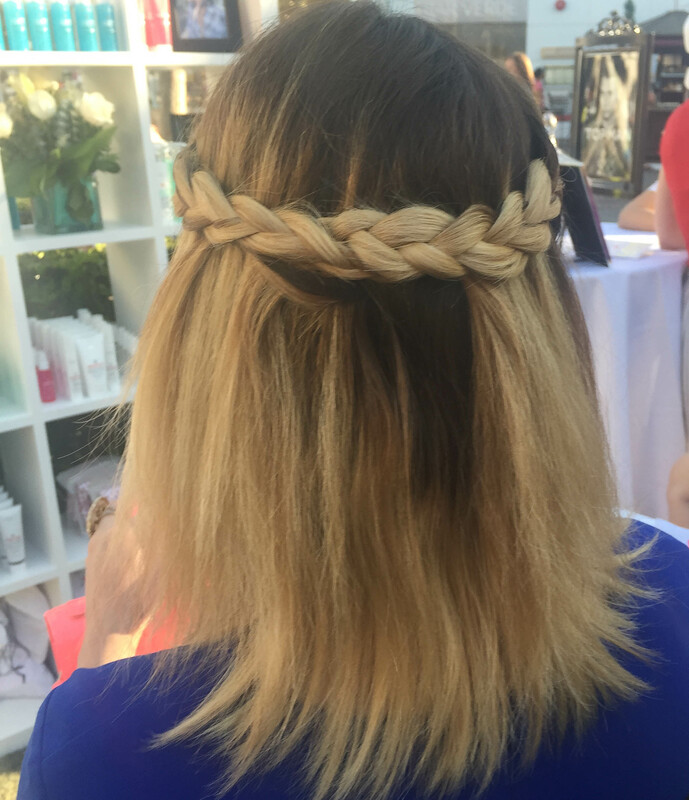 Thank you E Salon for my gorgeous braid! 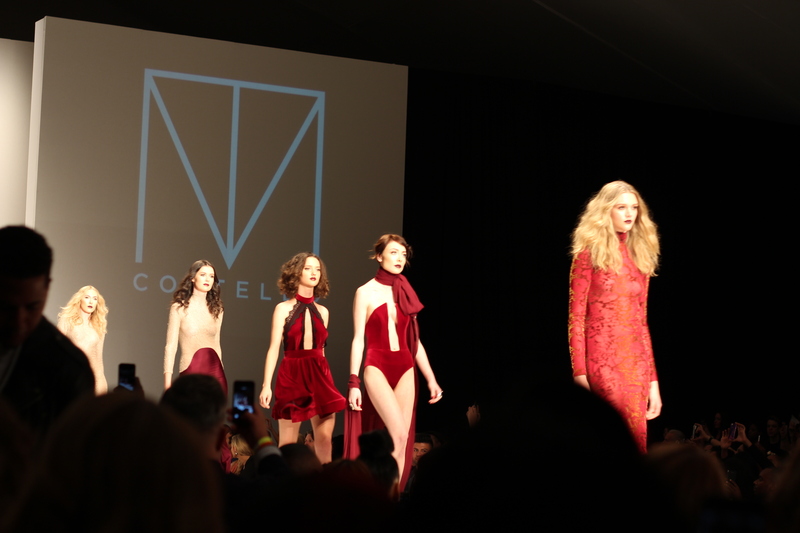 Finally had the absolute pleasure of speaking with the immensely talented Michael Costello. 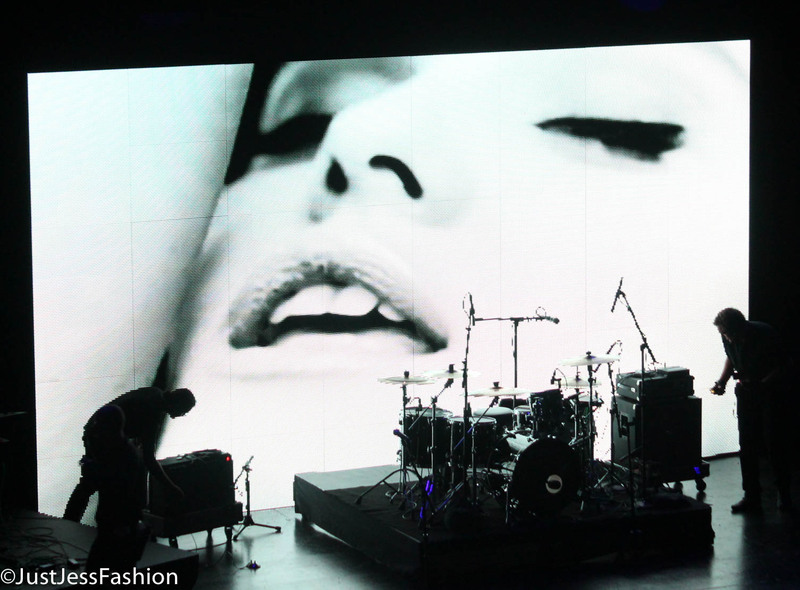 Yes, the man behind Beyonce and so many other diva’s fabulous gowns. I got the opportunity to tell him how long I’ve been a fan and how I’ve just loved watching his career blossom to the magnitude of notoriety in the fashion world that it is today. 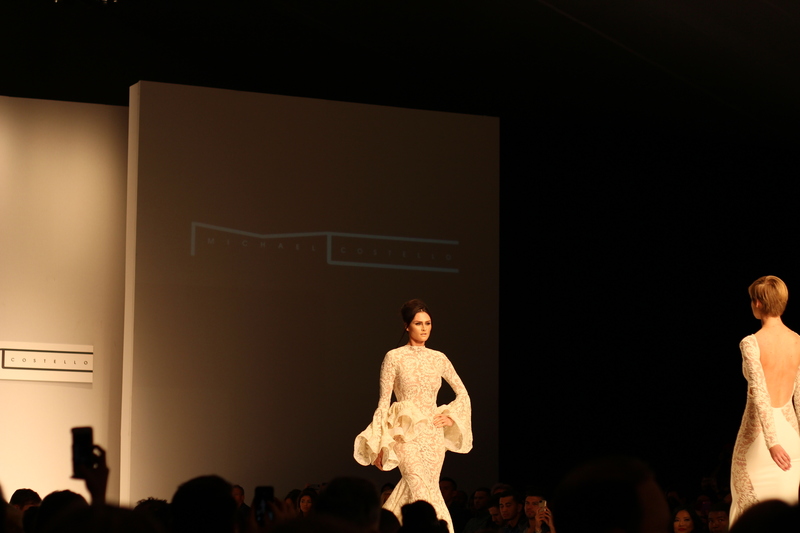 From the International Fashion Film Festival in La Jolla, to the first ever International Fashion Film Awards ceremony in Beverly Hills, these past few days have been filled with excitement, education and most importantly FASHION! Sometimes I think to myself I’m taking a risk and then I meet people with mile long lavender trains, and pop legends with blue hair. I could definitely learn to walk on more of a wild side when it comes to fashion decisions. Apparently the wild side has more color. 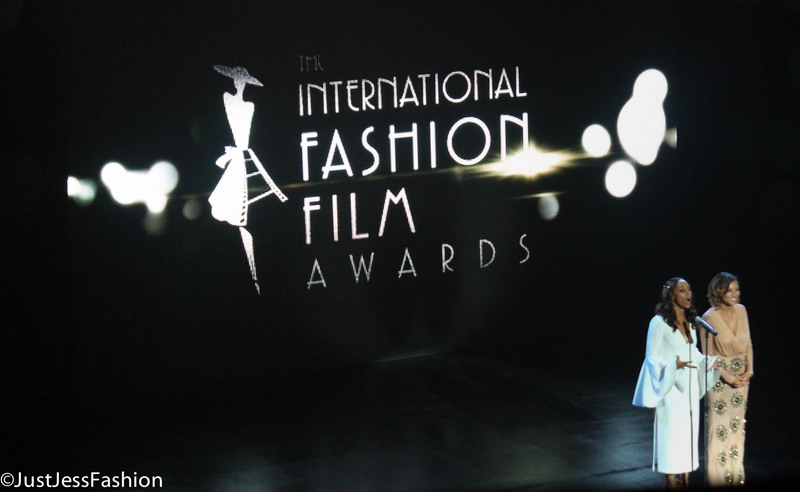 Alas, the International Fashion Film Awards proved to be a night full of glamour and recognition for stars in the realm of Fashion Film from all around the world. I feel like I have watched so many of these films I’m starting to learn to speak French and Italian. Ok, that’s not true. But I am starting to realize that fashion around the globe means the same. It is an art form. A mean for someone to express how they feel. The ceremonies kicked off with an introduction by Cinemoi President Daphna Ziman. Once again a lesson in fashion film history. 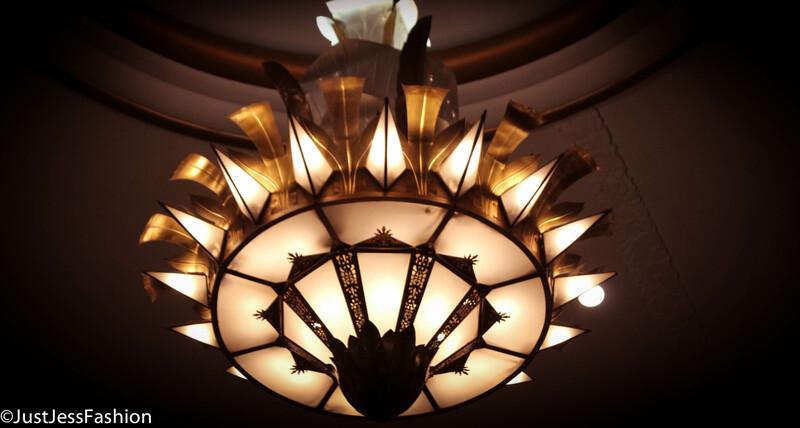 The venue hosting the event, the Saban Theatre, located in beautiful Beverly Hills actually had quite the substantial history with legendary film stars including Marilyn Monroe. The talent that we were just about to recognize was described as the “merging of couture and film.” And with that, the awards got kicked into full gear. 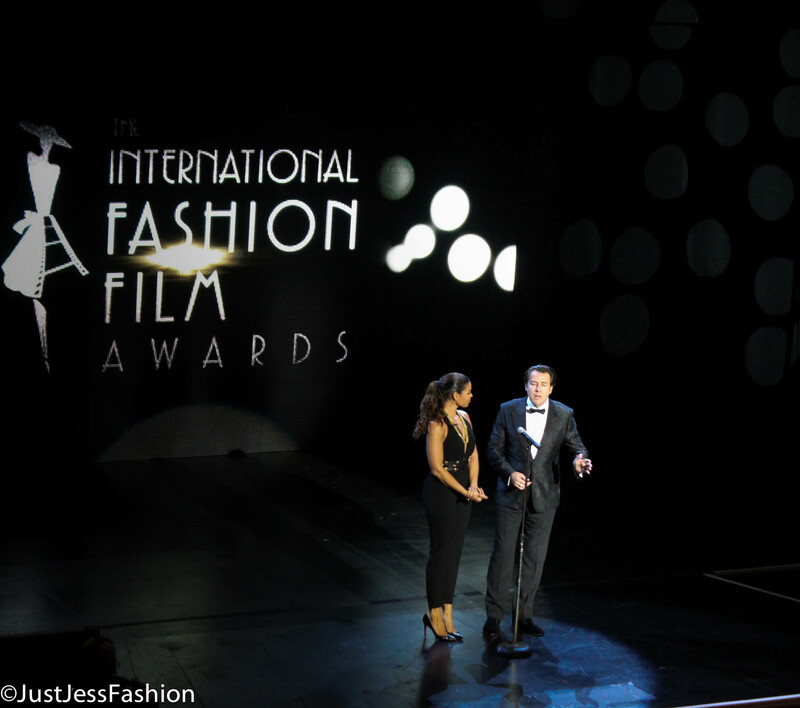 Awards were presented in categories such as Best Art Director, Best Styling, and Best Fashion Film. Although these films are not nearly as mainstream as blockbuster hits that we would all instantly recognize (there was an apology to Michael Bay for no nods to Optimus Prime,) they should not be discredited. 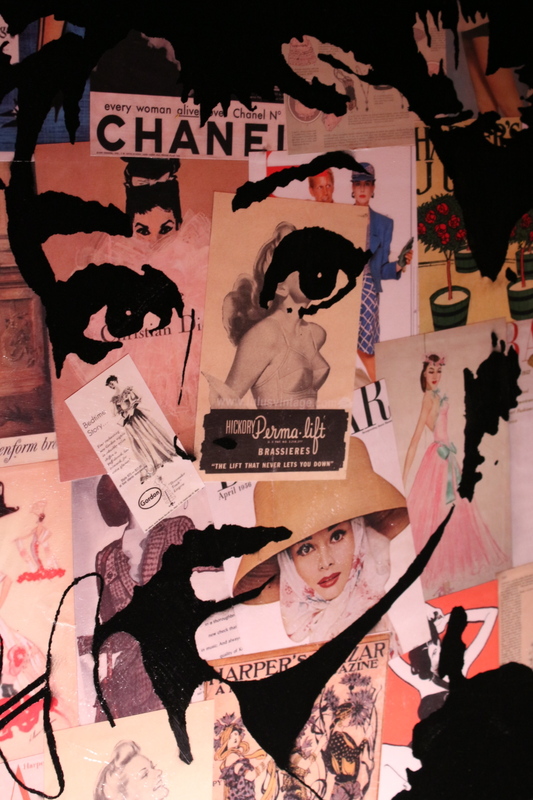 Part of the allure and mystery of familiarizing one’s self with International Fashion Films is more than just hearing fashion described in a foreign language or a cool accent. It is stepping into the creative mind that is crazy beautiful enough to imagine fashion and produce stunning imagery through costume, makeup and digital talents. Really and truly it’s a breathtaking experience. One of my favorite films nominated for Best Film was “Urban Hippie” by Damien Krisl. 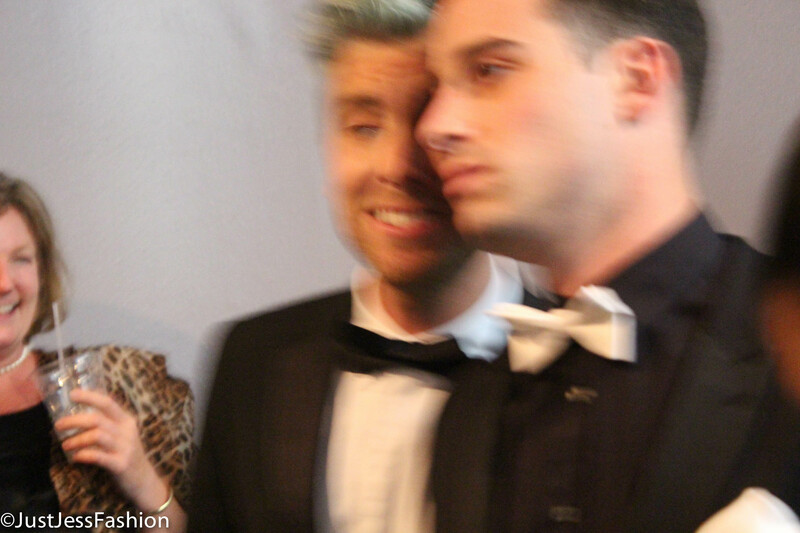 Half way through the ceremony Lance Bass presented Melissa and Joan Rivers the IFFA Icon Award. And rightfully so! Before them nobody had the audacity to ask fashions elite on the red carpet’s “who are you wearing?” I’m not going to lie, knowing I would be in the presence of the Rivers women I was TERRIFIED about the potential to be called out literally by the fashion police. Although, I think I would have been honored at the thought that time was even taken to judge my outfit. One day! 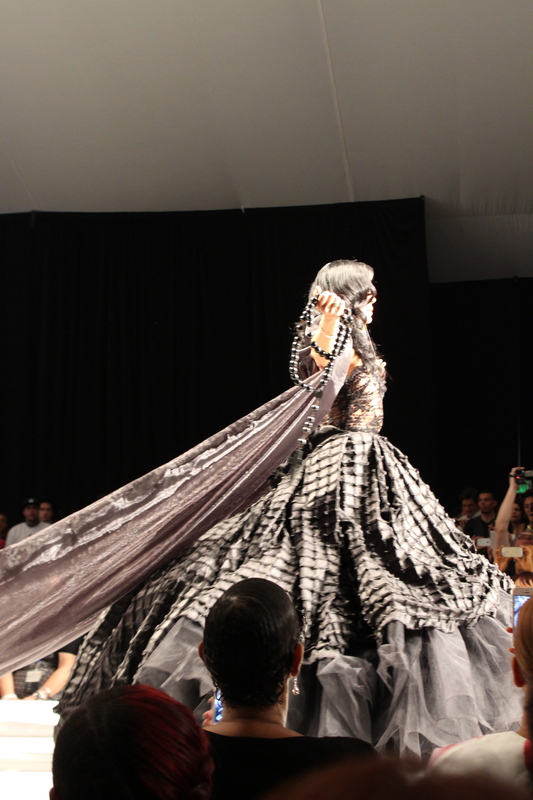 Michael Costello even presented an Icon Award to Gigi Lepage, for her groundbreaking and legendary costume design contributions to fashion film. One of her most memorable creations was designing the costumes for “Grace of Monaco.” Oh ya, and she’s worked with little ol’ labels such as Cartier and Dior. Truthfully, I wasn’t really a fan until I heard her compare dressing Nicole Kidman to dressing Barbie. Anyone who can compare a life accomplishment to Barbie is fabulous in my book. Plus, I’m pretty sure I heard her say something along the lines of “Ja’ Dor.” Let’s be honest here, the only foreign language I understand is Christian Louboutin, Dior and Yves Saint Laurent. Oh ya and the other ones but those ones are more fun to roll off the tongue. I’m still mad at Yves Saint Laurent for dropping the Yves. Some of us liked impressing people by pronouncing that! 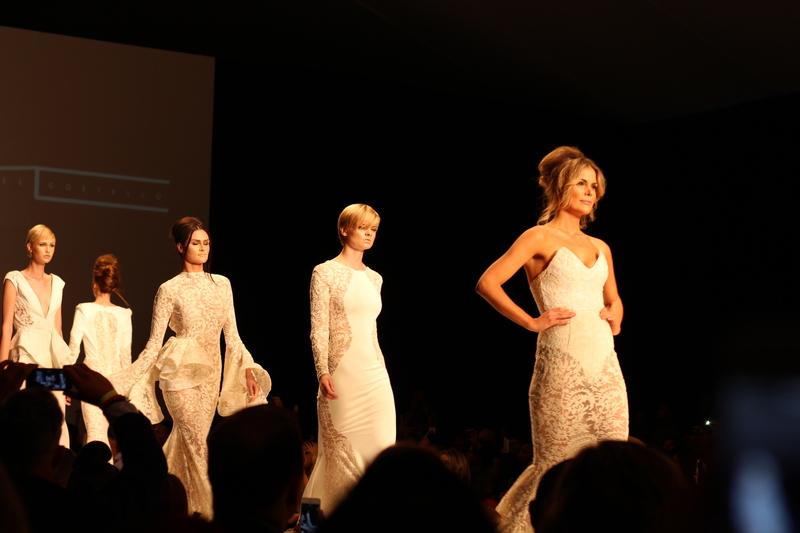 Which speaking of impressive, I was most certainly proud of Michael Costello for overcoming the technical issues that arose during this presentation like a pro. Heidi Klum and Tim Gunn taught him well. Actually, scratch that. 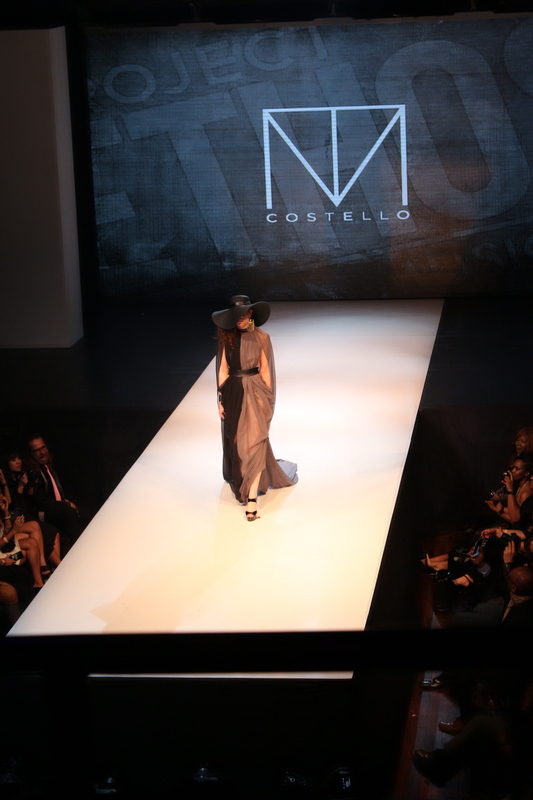 Costello looked as though he was as talented at public speaking as he is creating goddess gowns for women with perfect silhouettes. I’m so proud of Hollywood for taking a break from mainstream and taking time to recognize people who work even harder to share their imagination and vision of fashion with the world. After all where would Hollywood be without iconic fashion contributions such as that white Marilyn Monroe dress or even that “Breakfast At Tiffany’s” dress. In the infamous words of Yves Saint Laurent, “Fashion fades, style is eternal.” And what better way to eternalize style than to capture it on film? When you can’t decide on one color wear them all! I love that my co-worker refers to this as the Power Rangers Necklace. 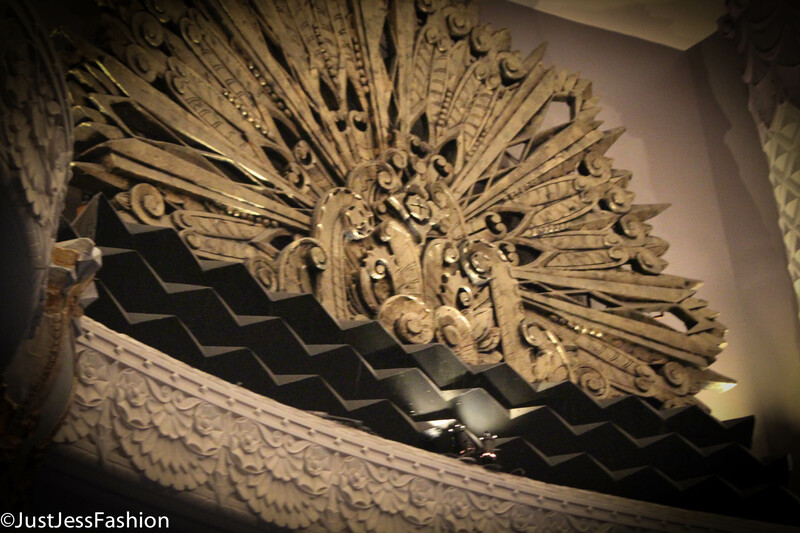 The event was held at the Saban Theatre in Beverly Hills. In addition to having historical relevance to legendary fashionistas in film such as Marilyn Monroe it also exuded beauty and elegance that can only be described as Hollywood glamour. 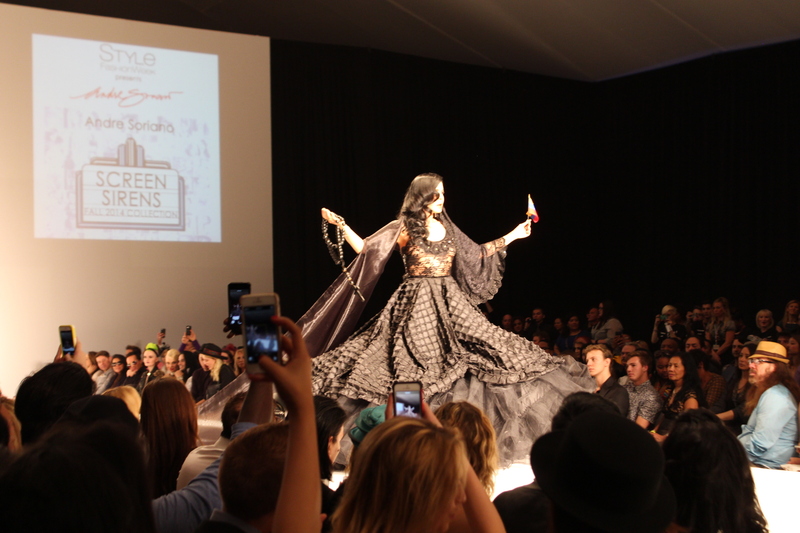 I’m always amazed by legend in the making Michael Costello. His silhouettes are not only ingenious, and breathtaking but I truly feel as though he turns the woman wearing the design into a piece of art. I’ve been watching his career flourish since I first saw him at a Project Ethos event about 2 years ago. No doubt he will go down in history as one of the greats just like the ones whose lives and contributions were celebrated during the event’s “In Memorium” portion. Ok, so I knew Lance Bass was going to be a presenter of the event. What I did not know was that he would be walking right past me. Whether it was my subconscious reminding me I’m a Backstreet girl through and through (event though growing up the 4 walls of my bedroom were equally devoted to Nsync, Backstreet, Britney and Leonardo Dicaprio) I guess years of feeling abandoned have finally allowed me to publicly pick a side. Sorry, Lance. I’m sure Nsync had the ability to go down in history as a top selling group, but let’s be real. The Backstreet Boys promised to never break my heart and have never told their fans bye bye bye, thus they are in my opinion the greatest boy band of all time. And plus they would never express disdain over delivering RECYLCED content to their fans (even though I totes understand why they would be frustrated in the first place.) But let’s be real. Backstreet cares about their fans. Brian Littrell would have stopped because they have a sixth sense like that (true story, he’s stopped to acknowledge me and my equally passionate about this kind of stuff BFF.) Ok, my rant is done. LOVE the blue hair Lance! 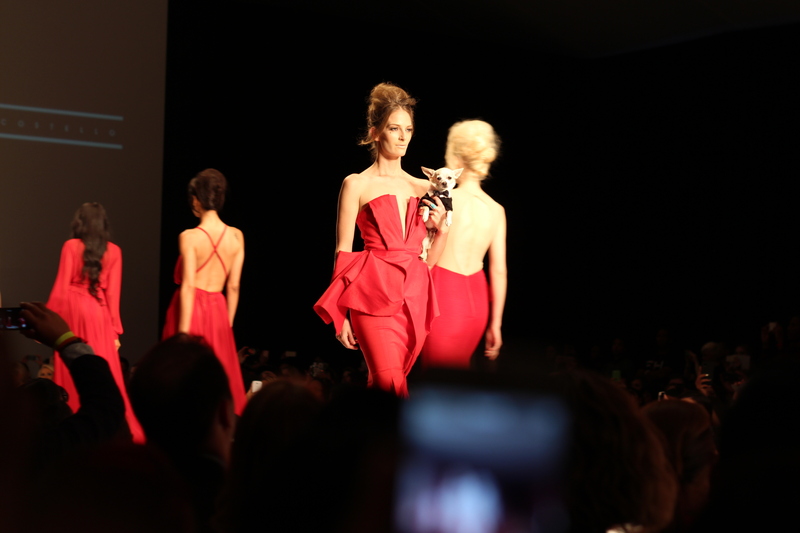 Cinemoi President Daphna Ziman looked breathtaking in her stunning red gown. I loved seeing attendees of the awards show with gowns that were clearly inspired by the Hollywood fashionistas of past. Styles that still resonate with todays fashion. I think Mary Pickford, one of the first actresses to make glamour synonymous with Hollywood, would have been proud. 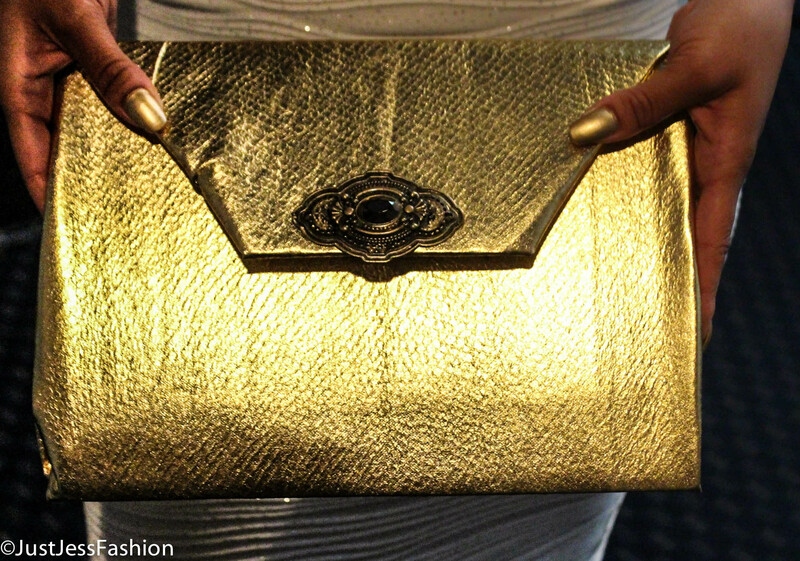 During the event I had the pleasure of bumping into a local clutch designer, Shakayla Burris. 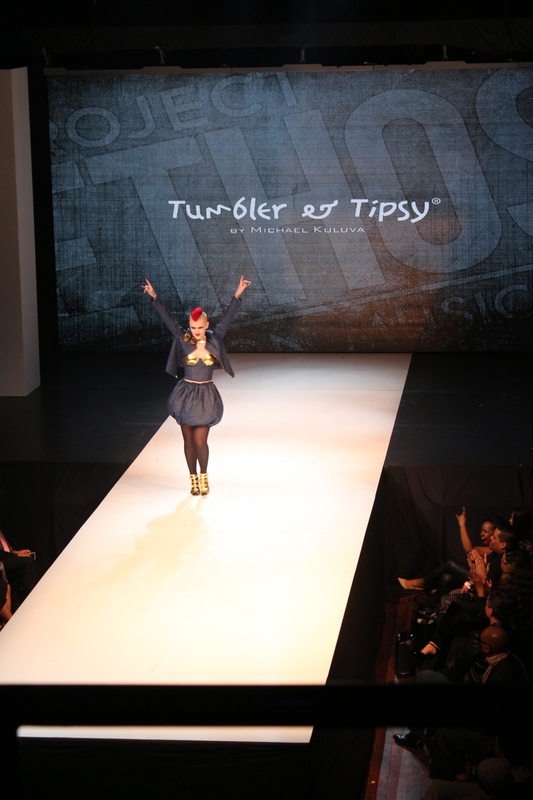 Oh ya and she is the CEO, and Creative Director for Freestyle Inc. Oh, ya and her outfit was fab! Her website I was informed is relaunching this Friday. Definitely gonna check it out! This picture doesn’t even do one of Shakayla’s clutche’s justice. I love the color, and I loved the size. Sometimes a girl wants to carry around more than her keys and cell phone. Way to go Ms. Burris! Hope to see you debuting on a runway soon! Trend alert! Jumpers are everywhere. Not only did I spot several attendees of this event wearing them, including the adorable Jordin Sparks. No words necessary to explain what was going on here. Although suddenly I have an interest to see a Cirque Du Soleil show. Some of the most mesmerizing and time consuming costumes from various Cirque du Soleil shows. Some of these costumes were covered with thousands of Swarovski crystals. It takes me a day to bedazzle a tape dispenser. I can only imagine how long it took them to embellish some of these pieces. I’m not quite sure whether or not it’s taboo to point this out but the glamorization of the gap tooth makes me feel as though I was robbed because I was forced to get braces at a young age and had my dental issues fixed. It’s officially one of my favorite weeks of the year! 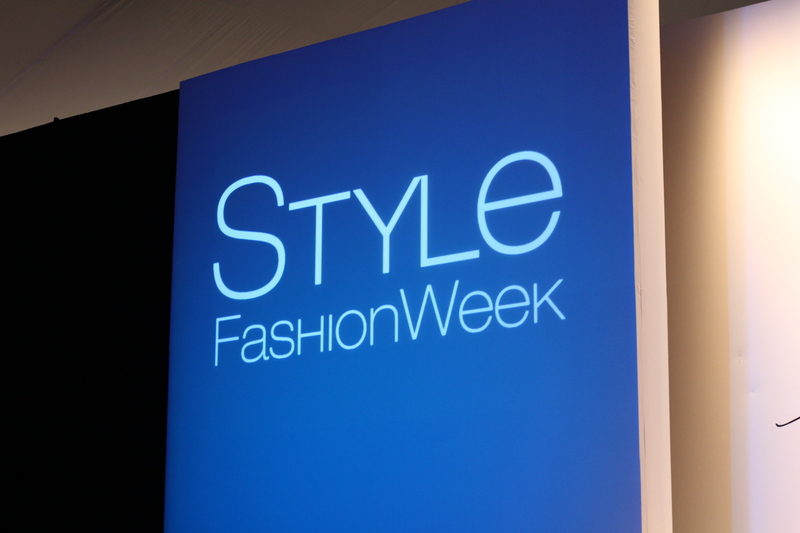 Style Week Los Angeles officially kicked off this past Sunday. And while regretably I was unable to attend opening night, I was able to go to last nights shows! And I must say I was a little upset that this year I was not approved for a press pass. I didn’t even get a “sorry you’re not cool enough” letter. I get that they’re busy but sheesh. Thank goodness my best friend Wade had it within his heart and his network to get me in. Thanks Wade! Despite starting fashionably late. The festivities were everything I had hoped they would be. 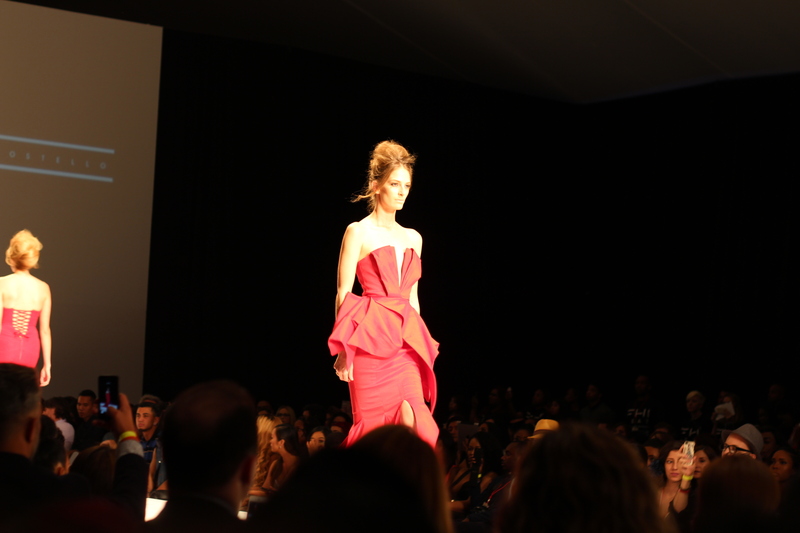 Granted the ready to wear collection was ok, it was Michael Costello and Walter Mendez’s presentation that made my jaw drop to the floor. I am soo proud to see how quickly Costello’s star is rising! Granted I don’t know him personally, but watching his shows last year and how much recognition he has gained in the past year by celebrities and style icons is nothing short of inspiring. And then there’s Walter Mendez. 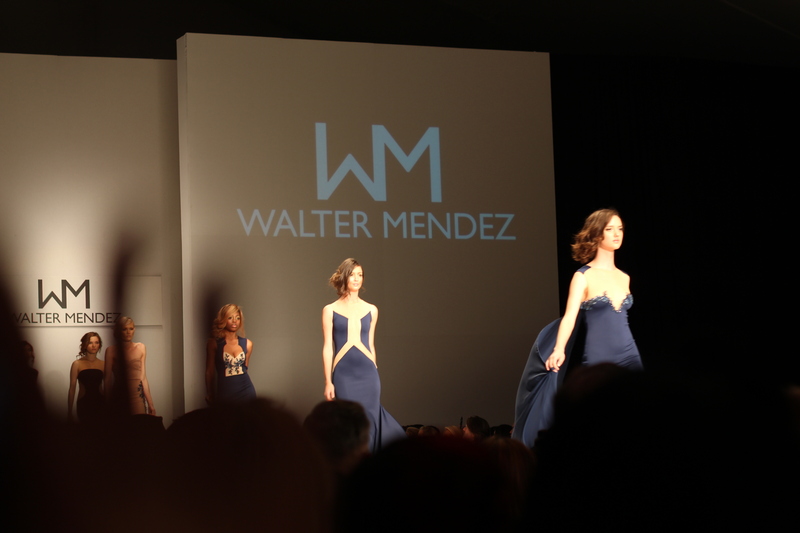 I consider Walter Mendez and Michael Costello the Ben Affleck, Matt Damon of the fashion world. I always feel like they have each other’s back, and are the epitome of a healthy bromance. Together they’re an unstoppable duo. 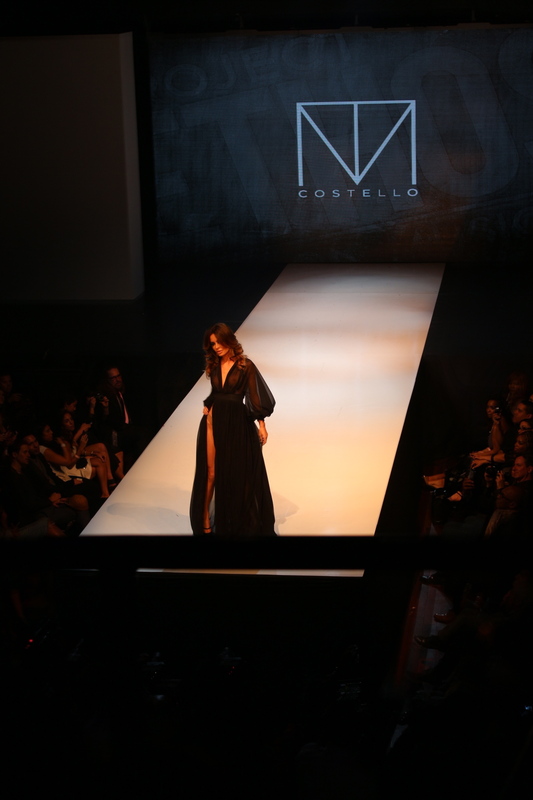 While Costello has his signature attention to detail in the dramatic silhouette, Mendez is about sophisticated drama. 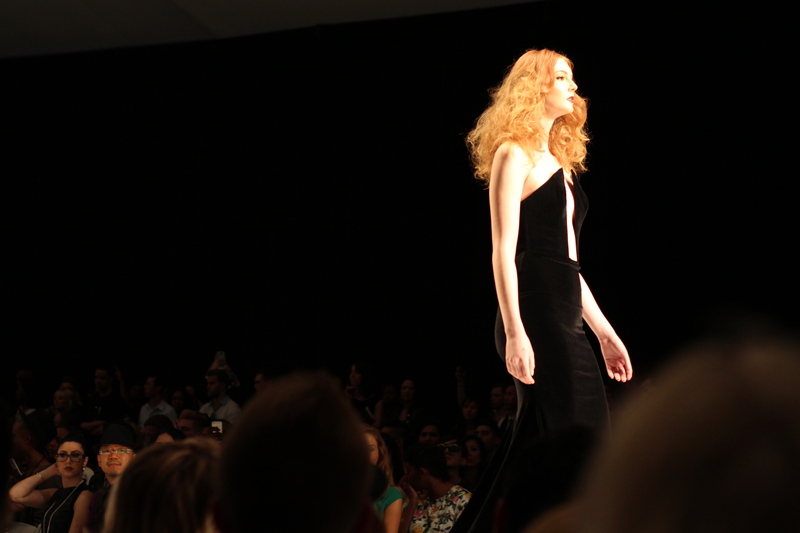 And if you’ve read my previous posts about runway shows, I love me some drama on the runway. The only place drama should be. 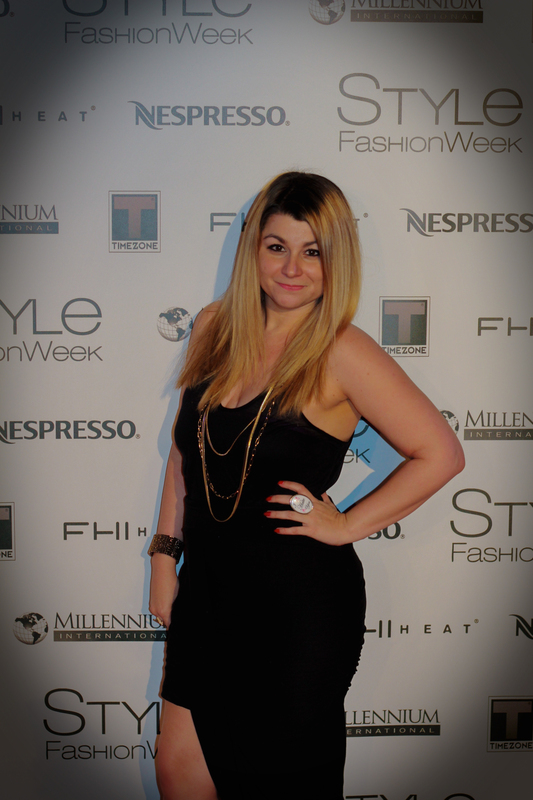 Overall, Style Week was every thing I hoped it would be. Full of fashion and fun. 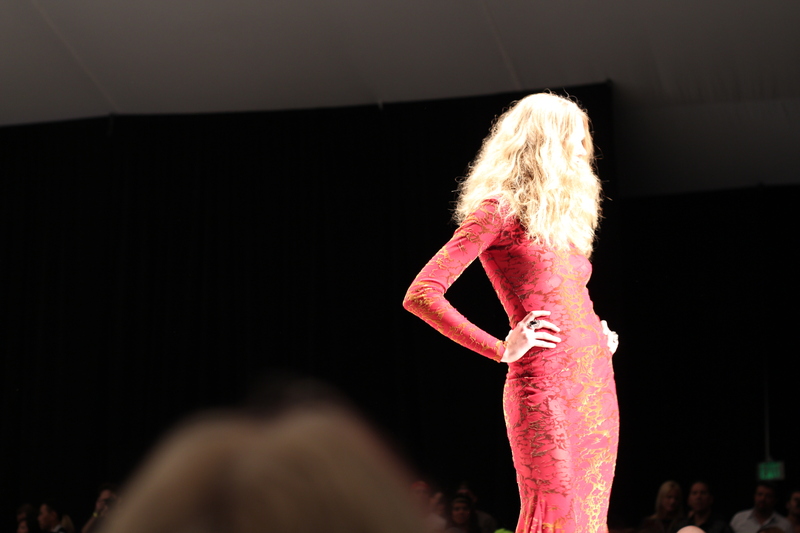 I can’t wait to see what Betsey Johnson brings to the runway tomorrow! Whether or not I’ll be in attendance is still a question seeing as how I’m sure security will be flipping out about that show more than they do a flash on a camera. So unfortunately I did not have the opportunity to see all the shows due to being stuck in notoriously horrible LA traffic. But the best shows were really saved for last! 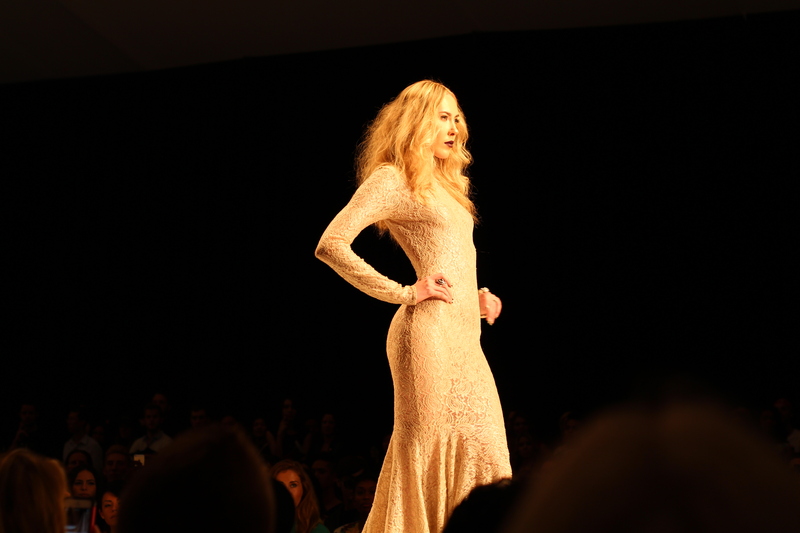 Model Sarah Stage featured in Michael Costello’s collection. Perhaps inspired by the Angelina Jolie leg? 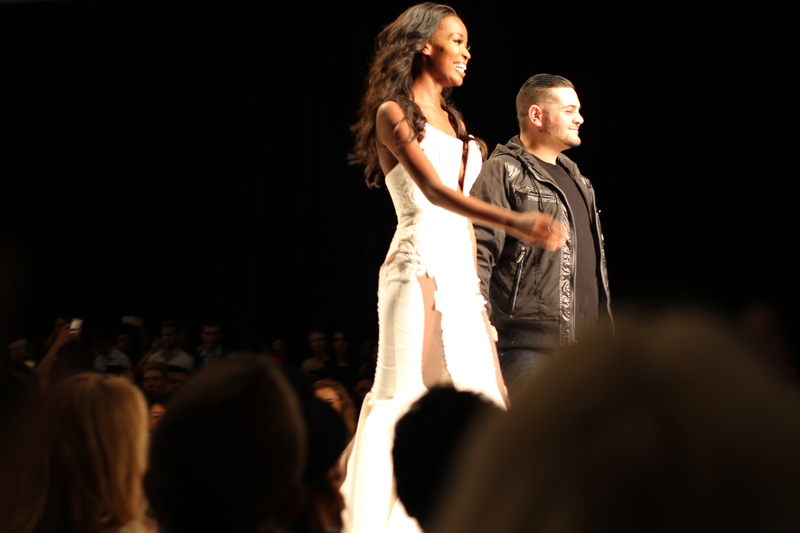 By far my favorite presentation was Project Runway alum Michael Costello. 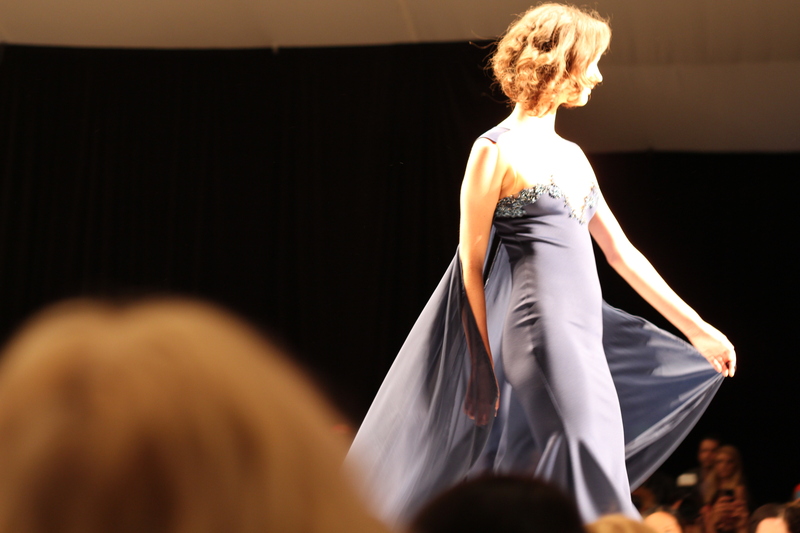 After watching several interesting shows, every piece that sashayed down the runway literally took my breath away. 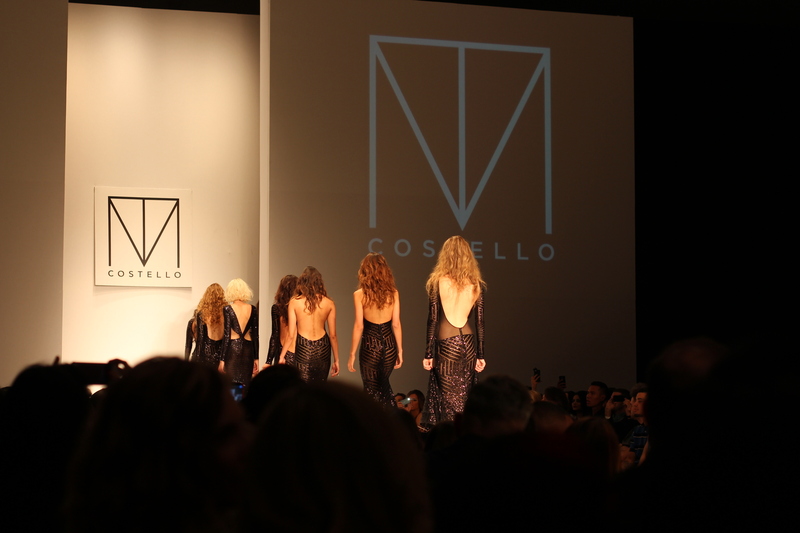 From the draping, to the dramatic cuts, Costello nailed it! 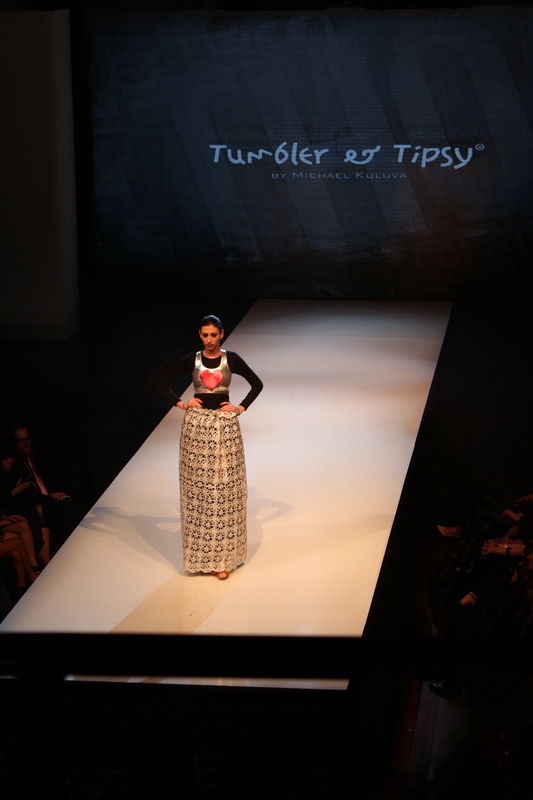 What I loved most about the collection was he designed pieces as an art form. 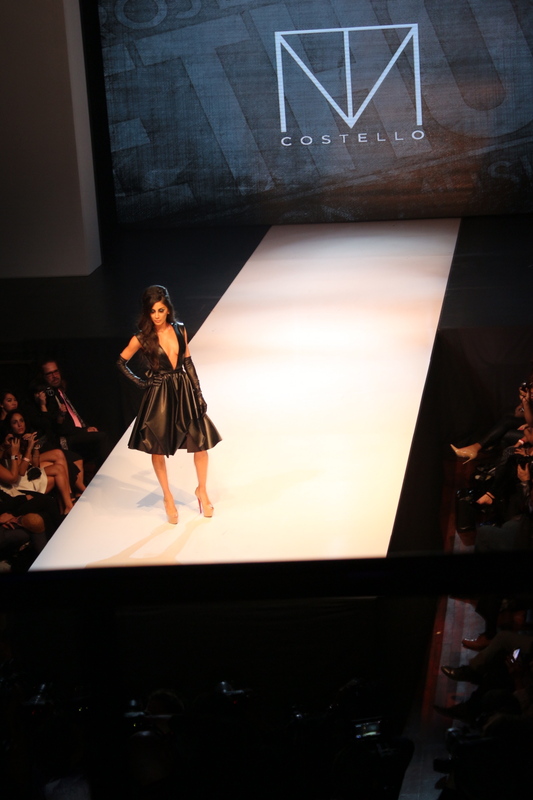 Costello not only brought fabulous designs but a celebrity guest model as well. 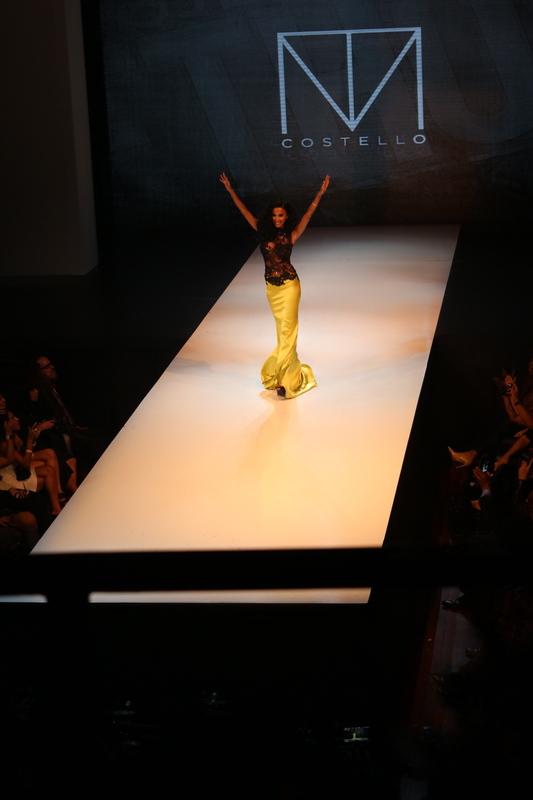 Lily Ghalichi of reality TV show “Shahs of Sunset” concluded Costello’s show in a stunning lime green and black lace piece. 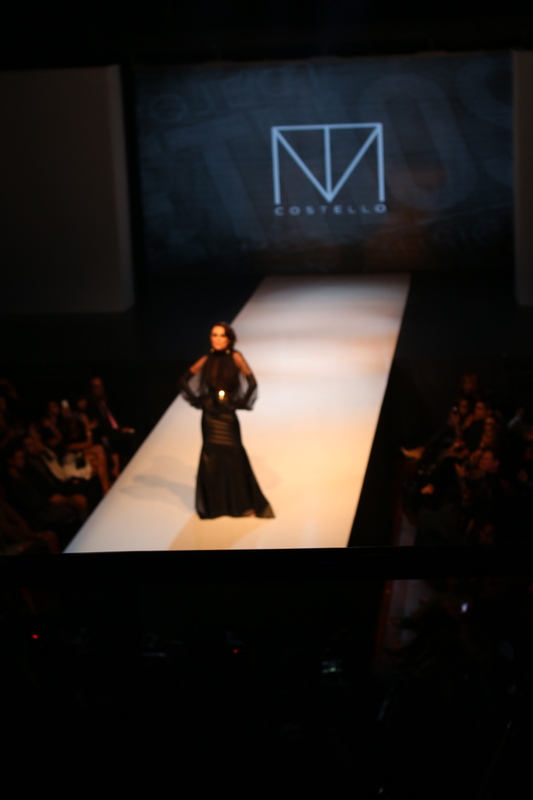 Lily Ghalichi of “Shahs of Sunset” was the Costello’s celebrity guest. 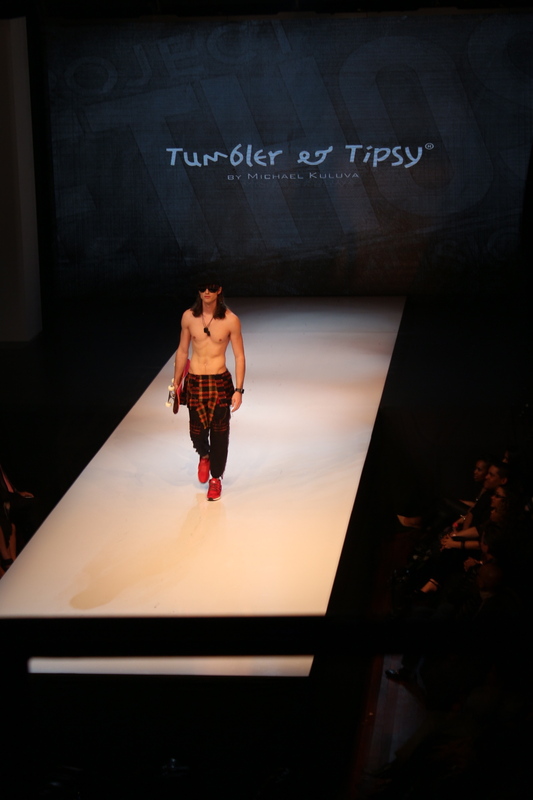 Michael Costello taking a final bow. 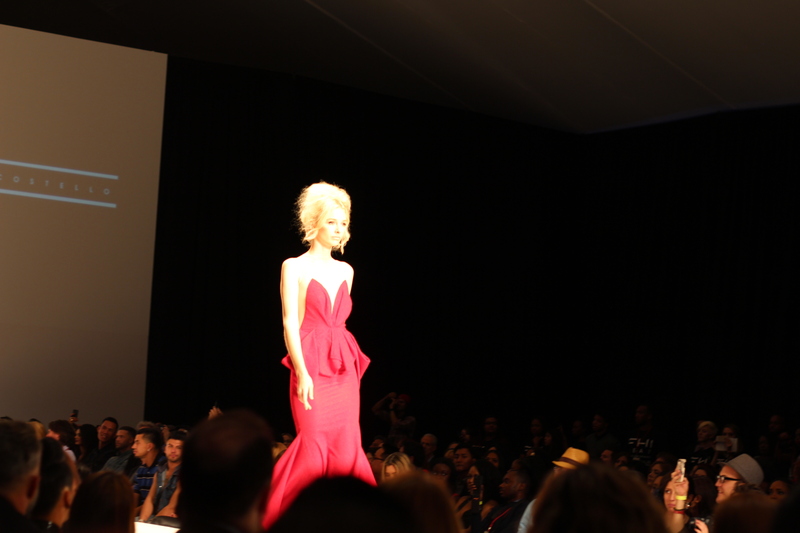 One of the things to keep in mind about LA Fashion week, is it is not neccessarily a prediction of a season months to come, but rather a celebration of individual spirit, attitude and style. I had to remind myself of this when Tumbler and Tipsy by Michael Kuluva made his presentation. 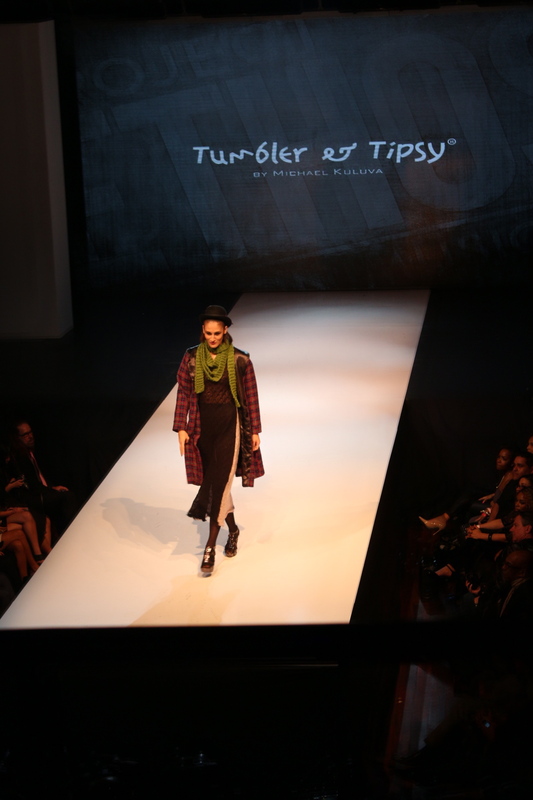 While initially, the collection reminded me of Betsey Johnson when she started embracing grunge, I silenced my inner Joan Rivers and really started to focus on the glam behind the grunge. 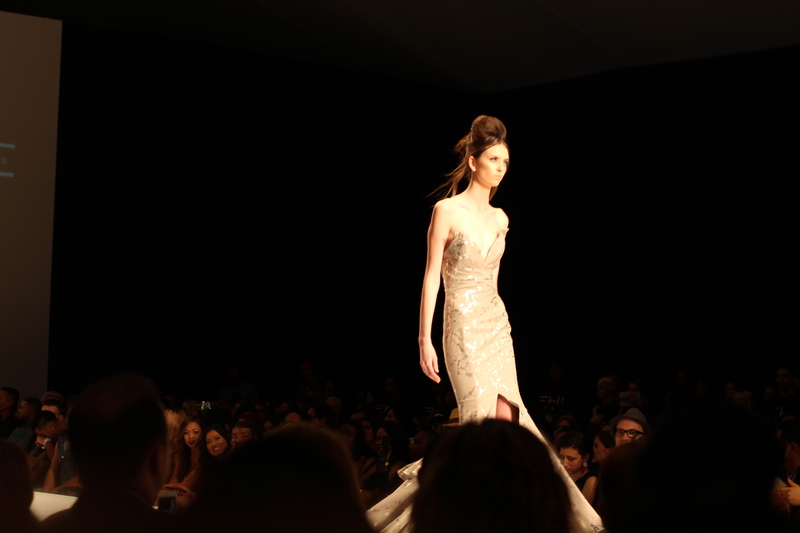 Some of my favorite pieces of course were the ones accented in metallics or the gowns covered in sequins. As a self proclaimed lover of all things that sparkle, I really did find love in a hopeless place. House of Pink Lemonade, debuted a collection that still has me contemplating what I thought of it. I did not love it, nor did I hate it. 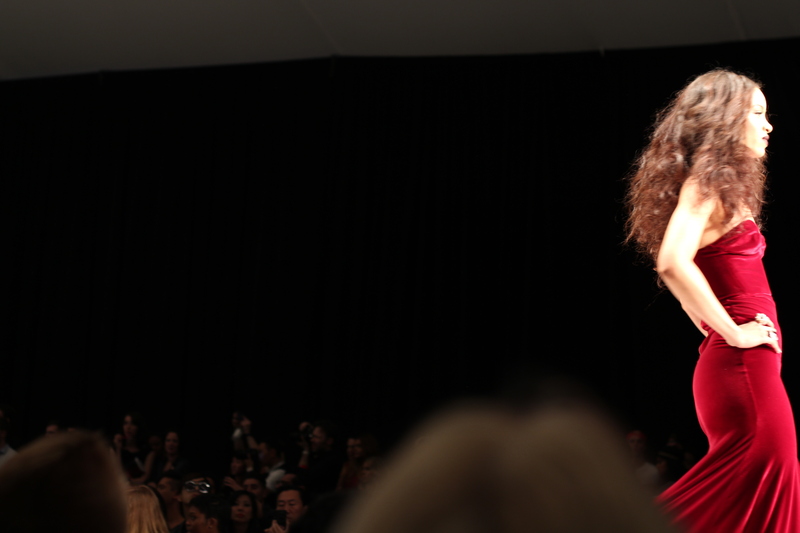 While many in the audience expressed rather puzzled expressions while the models very slowly walked the runway, as a photographer trying to capture the movement, I loved this unique aspect of the show. The pieces were VERY hit and miss. I loved the suits in bright colors and embellished with trim or buttons, everything else was just OK. The highlight of the evening though, for those of us that stayed for the after party and mingle amongst the beautiful pieces of art was definitely the surprise show by men’s underwear designer, Andrew Christian. Naturally, when you have mostly naked, very attractive and very ahem, built men walking down a runway you are going to get a lot of enthusiasm from the crowd. Seriously, I felt like I had somehow gotten trapped in the filming of Magic Mike. 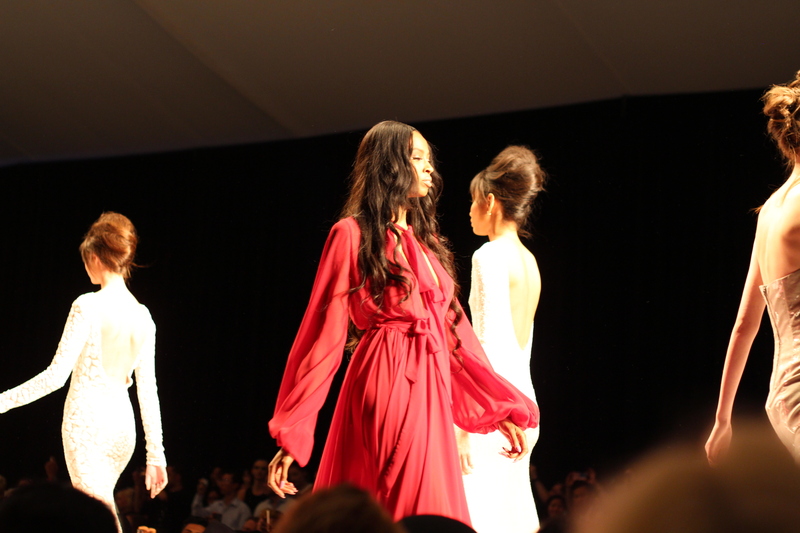 But the energy that came from that segment of the show definitely set the pace for the rest of the night as everyone seemed to begin to enjoy the event and immerse themselves in all things fashion and art. 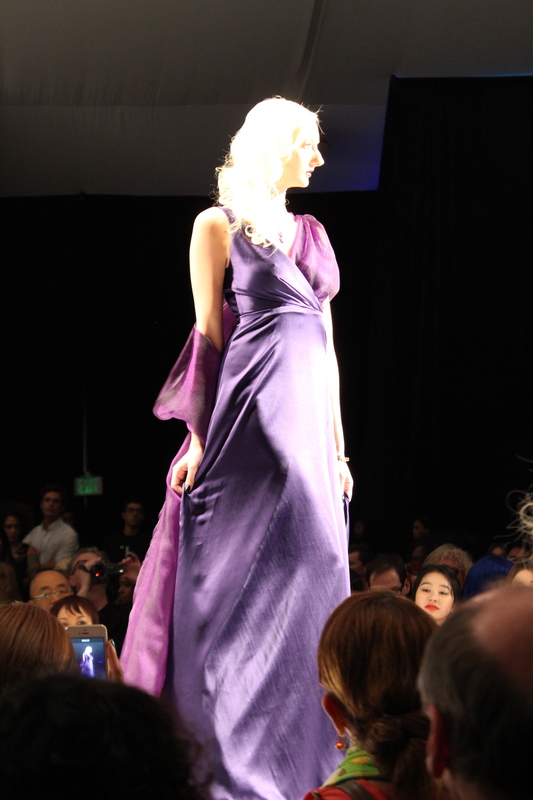 Overall, the evening was nothing short of anything I would expect from an LA fashion show. There was complete appreciation for a variety of styles, and all the attendees took the opportunity to express what style means to them. My only concern for LA is, fellow Angelenos for being the most excentric of the fashion lovers crowd we really need to embrace more color! So much black and white you would have thought we were attending a runway event hosted by Coco Chanel herself. I guess when it comes down to it despite all the rough edges we are quite a classy crowd ourselves. My favorite art piece at the show!